The first Grand Slam of the Calendar year gets underway on Monday, and it’s down under we go to see if Novak Djokovic can make it an unprecedented 4 straight wins on the hard courts of Melbourne. The Serb is best priced 11/10 with PaddyPower going into the tournament, and to me, despite it being very skimpy, there’s still some value in it as the man is in such impressive form and goes into the Australian Open having won his last 24 matches, which saw him claim 4 titles in the process. He beat Nadal in straight sets in 2 of these finals, both on hard courts, and he also took the scalp of Federer twice along the way so the omens look good for Djok. The draw has yet to be made, but with Djokovic seeded 2, he will be in the opposite half from Nadal (Seeded 1), Murray (Seeded 4) and Federer (Seeded 6) so if he continues his good run of form, he’ll avoid the other contenders until the final. Speaking of contenders, Nadal is 2nd favourite @ 13/5 with StanJames. The left-handed Spaniard has already landed a title in 2014, winning the recent Qatar event dropping just 2 sets along the way (both tie-breaks) so confidence will be high and Nadal will be hoping to add a 14th Grand Slam title to his ever expanding regime. 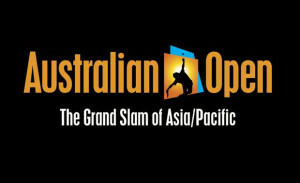 His sole Australian Open victory in 2009 included a semi-final with Verdasco that lasted over 5 and a half hours making it the longest in Australian Open history, and the many fans he won on that day are still hopeful of a 2nd Nadal Victory and will be snapping up the 13/5 on offer. A couple of outsiders worth mentioning are Stanislas Wawrinka and Jerzy Janowicz. Wawrinka is the man that put an end to Andy Murray’s run in last years US Open at the QF stage before losing a 5 set match to Djokovic. He’s risen to a career high of number 8 in the world and he warmed up by winning in Chennai, India this week without dropping a set, so 66/1 is overpriced. Janowicz is available @ 200/1 with Boylesports and if he gets an easy draw, he could sail through the early rounds and then anything goes after that. One interesting thing to note about the favourites is that Djok has hired Boris Becker as a coach, and Federer has followed suit by hiring Stefan Edberg as a coach, so both players have coaches with a ton of experience and Grand Slam success alongside them to help them in this years quest. It worked for Andy Murray and Ivan Lendl, so could it be a deciding factor in where the Aussie Crown goes? In the women’s draw, I just can’t see past Serena Williams @ 5/6 with PaddyPower. It’s an incredibly short price to come through 7 matches, but Serena has been in scintillating form over the past 12 months. She’s just won the warmup tournament in Brisbane while failing to drop a set, which was her 22nd consecutive winning match. Her loss to Azarenko in the final at Cincinnati before that is her only loss in her last 37 matches. During that time, she has won 73 from 79 sets played. If you take a Djokovic/Williams double, then you’ll get just shy of 3/1 on PaddyPower for your money, and that’s my tip for this week. If we’re looking at some outsiders, then some of these could be possible backs, to lay at a shorter price as the tournament progresses, because an early victory will see their odds slashed. Sabine Lisicki beat Serena at Wimbledon last year and has the big game experience after reaching the final, and @ 100/1 with SportingBet, it’s worth a punt. Svetlana Kuznetsova @ 200/1 is another that can deep on her day. She’s a Jeykll and Hyde character so it will all depend on which turns up!